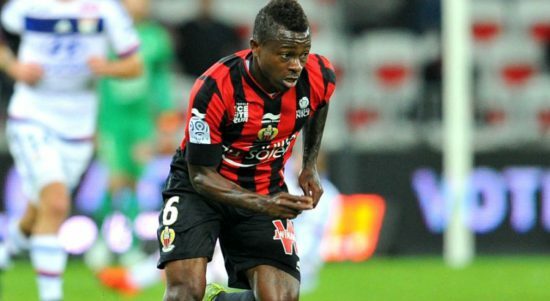 Manchester United are chasing the signature of 26- year-old Nice midfielder, Jean-Michel Seri who is reportedly available for £35m. The Sun reports that United manager, Jose Mourinho has turned his attention to the signing of the player, who is one of the most coveted players in France. The player has been an ever present for the French outfit since joining from Pacos de Ferreira back in 2015, and has matured into one of the best players in the Ligue 1 in his department. He was extremely close to a move to Barcelona last summer before a deal fell through at the last minute when the Spanish giants pulled a plug on the deal. With club captain, Michael Carrick retiring at the end of the season and the future of Marouane Fellaini still in doubt, Mourinho knows that a number of reinforcements are needed in the middle of the park, and has identified Seri as the man for the job. The player has a release clause of £35 million which expires at the end of next season, which in itself is a bargain for a player of his worth in today’s transfer market. The Ivorian international has never hidden his ambition to play at the highest level and must be looking at the recent acquisition of Alexis Sanchez as a pointer to the fact that United are moving in the right direction. United boss, Mourinho wants him to sign before making a decision whether to bring him in this campaign or at the beginning of next season, as per same report. United made a huge statement of intent with the signing of Sanchez, while the signing of Seri will show that we mean more business as we look to end the season on a flourish. Seri is a central midfielder by trade who is admired for his combative displays in the heart of midfield passing and ability to dictate play. He has made 26 appearances this term, scoring one and making 6 assists.